Depositing money to a BPI Account can be done in different ways. Whether you’re depositing money to your personal account or to another person or company’s account, this article is for you. This is the most common and popular way of depositing money to a BPI account. Although this is time-consuming because you have to personally go to the bank and line up, most clients still prefer this because it’s the safest and most secure way to send money to a BPI account. Why? Because the bank officer/teller verifies the account name and account number of your recipient. This way you’re assured that you’re depositing the money to the correct account. To deposit money at the bank, you need to get a Queue Number either through the computerized queuing system called BPI Express Assist at the banks or through BEA Online. To save time and to spare yourself from waiting in long queues at the bank, I suggest you set an appointment and get your Queue Number via BEA Online. Just log in to your BPI Express Online Account and click BEA Online. Then enter all the required information and print or take note of your e-Queue Number, which you need to present when you go to the bank. What’s good about this is that your queue number will be flashed on the screen within 30 minutes of your appointment schedule. With BPI Express Machine, you don’t need to get a Queue Number. If the machine is available, you can go ahead and deposit the money to a BPI account immediately. With ATM Card – Insert the ATM card in the machine and follow the next instructions to deposit money. Without ATM Card – Enter the ATM Card Number (located at the front of the card) of the recipient. If you’re depositing to another person’s account, you need to ask permission from the cardholder to get his ATM card number and the JAI to be able to deposit money using the machine. Watch these video tutorials for BPI Express Online. Once you enrolled in BPI Express Online, you can then download the BPI Mobile Banking app. 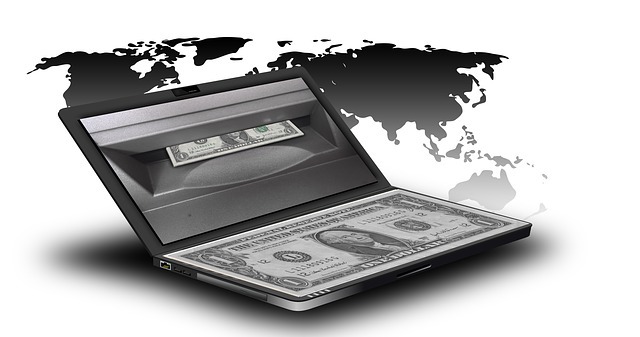 Our technology is constantly changing and online banking is no exception. Let’s take advantage of these things not only because they’re fast and convenient for us but also because it’s the best thing to do. They make things easier for us and we can be more productive in many ways. Be open to changes and don’t stick to the old ways of doing things including depositing money to a BPI account. Try the express deposit machine, you’ll love it! Maximize the use of your smartphone and internet connection. Try BPI Express Online. You don’t always need to go to the bank to do your banking transactions. Explore other options like the ones I shared above.